Aloha! You have found your way to the most comprehensive website dealing with the purchase of Kona condos on the Big Island of Hawaii. Thousands of people purchase Kona condos for a variety of reasons; they may want to use the condo as a vacation rental and stay in it occasionally, they may want to use it as a long term rental, or they may want to live in it full time. All of these options are readily available, but you need an experienced agent to direct you to the complexes that will satisfy your particular needs. That’s because some complexes try to discourage vacation rental by imposing a 30 day minimum rental policy. Vacation rental is typically by the night or the week. Long term rental is, by law, six months and one day or longer. You can long term rent in any condo, but you can only vacation rent condos that do not have the 30 day minimum rental requirement. In those, you can rent short term, six months or less, but to only one person per month. These complexities are why you need an experienced agent to guide you. This website will be a good start, and I will try and provide as much information as I can here. However, when you get serious, a phone call or at least an email, would be a very good idea. To help you in your search for the perfect Kona condominium I suggest you sign up for my daily email broadcast called the UPdate. The Daily UPdate is a unique service that I developed in 1995 specifically to help people who were planning to move to, or invest on, the Big Island but couldn’t find all the information they needed in one convenient format. It includes new listings, price changes and sales for the previous 24 hours of real estate activity and covers land, homes, condos and businesses. 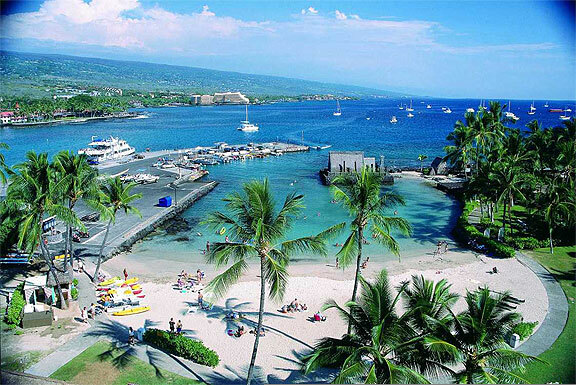 Kona condos stretch from the Keahole Airport as far as Captain Cook. Those that have a 30 day minimum rental policy are Seascape out by the airport and the in-town complexes of Hualalai Village, Kona Sea Villas, Alii Cove, Kona Sea Ridge, Alii Park Place and Alii Lani in Kailua-Kona and Keauhou Kai in Keauhou-Kona. 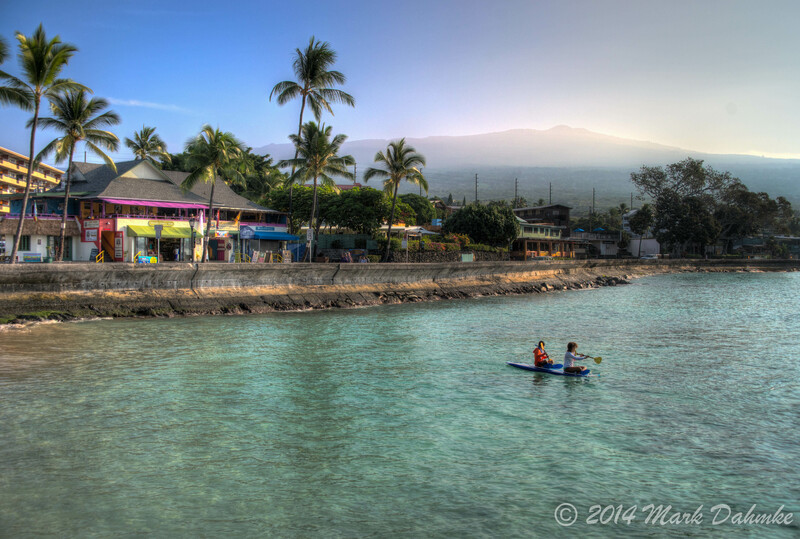 Those that allow vacation rental stretch along Alii Drive from the town of Kailua-Kona up to Keauhou-Kona, a five mile stretch of ocean front. They are Kona Plaza and Kona Alii (downtown), Kona Pacific, Malia Kai and Kona mansions just of the south side of Kailua Kona, and then the ocean front (makai or ocean side) complexes of Hale Kona Kai, Kona Reef, Sea Village, Kona Shores, Alii Villas, Royal Sea Cliff Club, Casa De Emdeko, Kona Isle, Kona By The Sea, Kona Bali Kai, Banyan Tree and Kona Magic Sands. 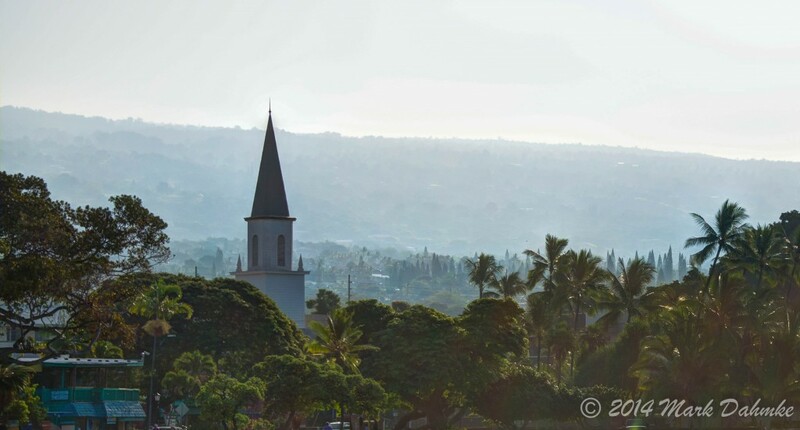 On the other side (mauka or mountain side) of Alii drive you have Holualoa Bay Villas, Kona Palms, Royal Kahili, White Sands Apartments, White Sands Village, Kahaluu Reef, The Beach Villas At Kahaluu, Kahaluu Bay Villas and Makolea. Keauhou condos are mostly on the Kona Country Club golf course, but the Kona Surf & Racquet Club is a popular vacation rental complex with ocean front units as well as units within the complex that are not ocean front. The golf course complexes in Keauhou are Keauhou Gardens (Kona Coast Resort), Keauhou Resort, Keauhou Palena, Country Club Villas, Keauhou Akahi and Keauhou Punahele.